Green Homes New Zealand is the only builder in the country to have received certification from the International Standards Organisation for design and construction of energy efficient homes – otherwise known as ISO 50001 for Energy Management. We fully insulate our concrete floors with perimeter foundation as standard spec (which can save up to 80% heat loss from the floor), we include thermally broken windows, over code insulation in walls and ceilings, incorporate energy efficient Melie appliances, and LED lighting. We also use low VOC paints, adhesives and sealants to ensure a light carbon footprint and healthy environment for you to dwell in. Green Homes New Zealand are proud of our eco-friendly ethos. We build energy efficient, sustainable homes that easy on the budget and on the planet. 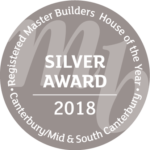 We are comfortable building homes with a rating of 7 Homestar and we are also members of the Green Building Council of NZ, and Future Proofing Building NZ. Do you have any showhomes? Yes, currently we have display homes in Canterbury, and have more opening up in the near future. You can view these on our website here or request a brochure to be sent to you via our contact page. As this will depend on your site, situation and specification please ask your Design & Build Consultant for exact pricing. How much is your square metre rate? There are often too many variables to give you a set square metre rate. The size and shape of your home and degree of specifications will dramatically affect the square metre costs. Also you have more bathroom space vs garaging for example where the square metre rate will vary wildly. For more info refer to our blog with our square vs linear metre comparison graphic for more info on this. Please talk to one of our Design & Build Consultants who will be able to price the perfect plan for your individual needs. What’s included as standard spec? Please refer to page 6 and 7 of our physical brochure for an itemised list, or refer to our online version here (best viewed on a desktop). Has the house you’ve advertised been built yet? How long does it take? We specialise in Design and Build, and we occasionally create house & Land packages. We will only advertise homes that we can build, consent times will be between 4-6 weeks with construction taking 4-6 months depending on size of home, specs and the time of year. Can we make changes to our plans? Yes you can, we prefer all changes to happen prior to consent being issued as we may have to refer requests of changes to your council to approve. What is Green Homes’ building experience? Our parent company Watts and Hughs commenced business in 1984 and have been constructing buildings in New Zealand since that time. The Directors and owner of Green Homes New Zealand Ltd are the same as for Watts and Hughes. Green Home New Zealand originated in and was founded in Australia by McFaver. Where are you located? Can you build in my part of the country? We are currently developing our franchise network to offer a full New Zealand service, we anticipate this roll out to happen over approximately the next 4 years. We are currently operating in Auckland, Christchurch and their environs with imminent expansion into Queenstown and Tauranga. In the meantime if there is an area you are looking at building in please feel free to register your interest with us. You may also wish to sign up to our newsletter to stay informed of future developments with Green Homes New Zealand. Predefined values are placed at each stage of the build in your Master Builders contract. At the end of each month we assess which stage has been completed and you’ll be billed for those. Generally there will be one account per month which will include several stages, some can take 5 months. Please refer to your agreement. How much does a green home save on running costs? A spec’d up home tends to have very high energy efficiency and on average can halve your overall running costs!